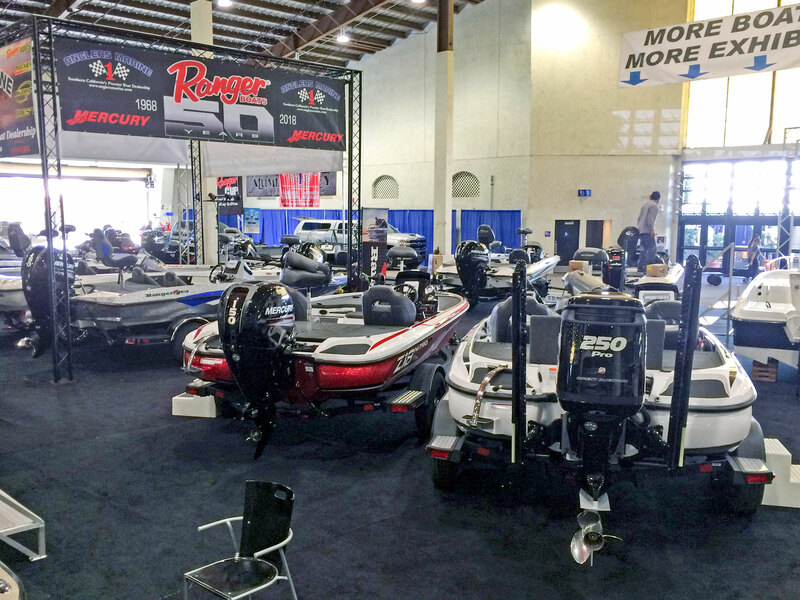 The annual Fred Hall Fishing and Boating Show opens today, Thursday, March 22nd and will run through Sunday at the Del Mar Fairgrounds. 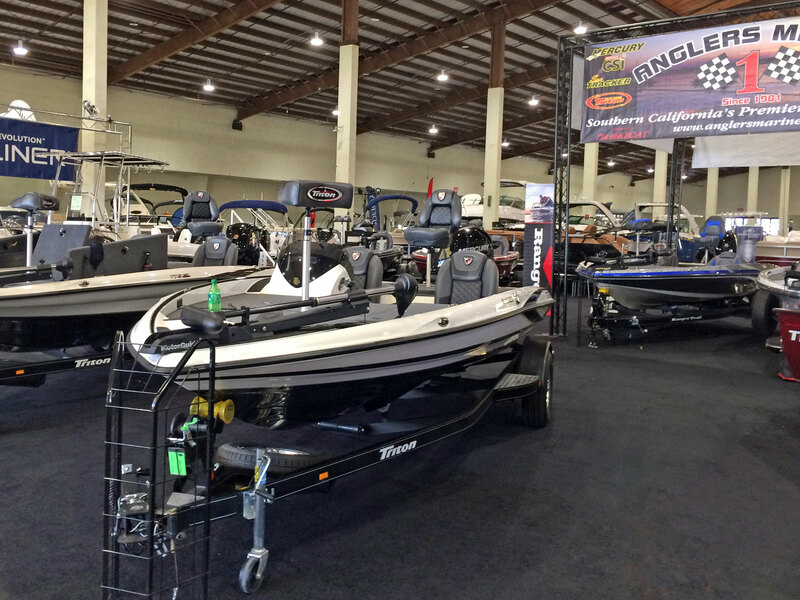 Among the attending exhibitors this year will be a few of our awesome sponsors at sdfish.com; Anglers Marine, Last Chance Performance Marine and our newest supporter, paddleboard dealer BOTE San Diego. 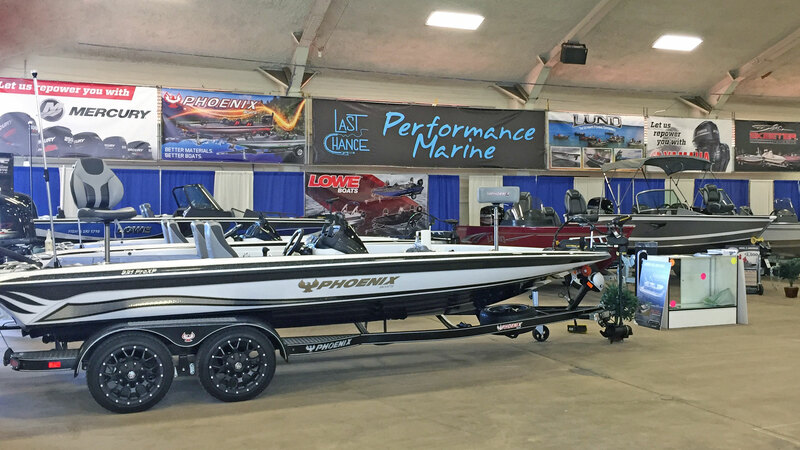 Both Anglers Marine and Last Chance Performance Marine will be featuring some of the best deals of the year on boats and outboards, backed by manufacturer incentives including rebates and extended warranties (both Mercury and Yamaha are offering free 5 year warranties for purchases through March 31st). 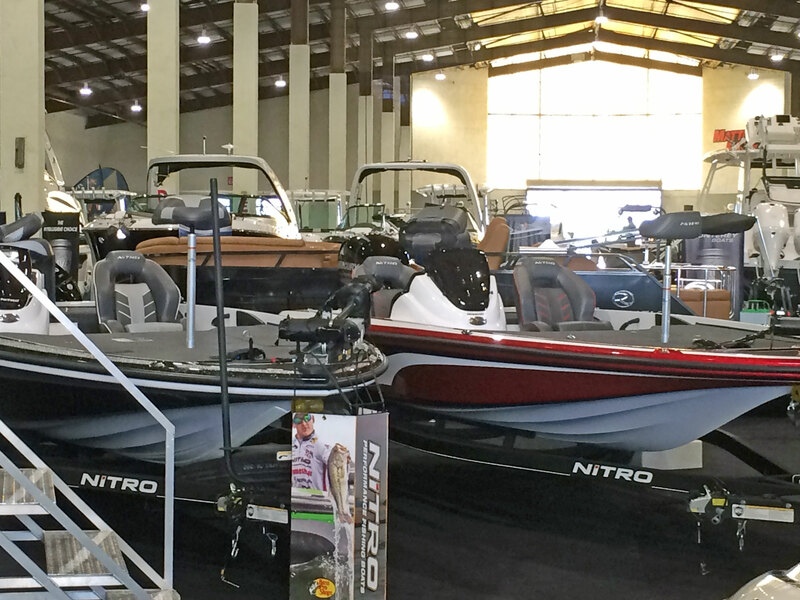 If you’ve been thinking about a new or preowned boat purchase, no matter what time of boat you’re thinking about, the time is now – and the show presents an ideal opportunity to see a wide variety of options and platforms in a relaxed, non-pressured environment. 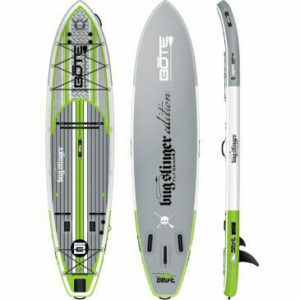 BOTE San Diego will be running a show special on their 11’4” Drift Bugslinger and Realtree inflatable paddle boards, originally $1,400 but marked down to $900 for the show with a bigger discount for purchases of multiple boards. They will also offer free shipping to the lower 48 if you’re attending from out of town. Additionally, they’ll have some larger inflatable and hardboard models, like Rackham 12’ and 14’ models that’ll be discounted at the show. And, they’ll be raffling off a Kula Cooler at the show, so make sure you stop by and check out San Diego’s newest paddleboard dealer and SDFish sponsor. 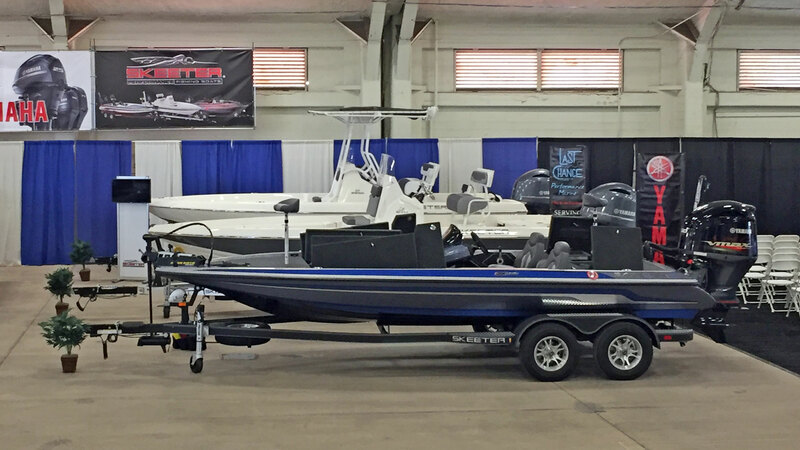 In addition to the aforementioned deals on boats and paddleboards, the Fred Hall Show can be a great time to take in some informative seminars that you won’t be able to see the rest of the year. 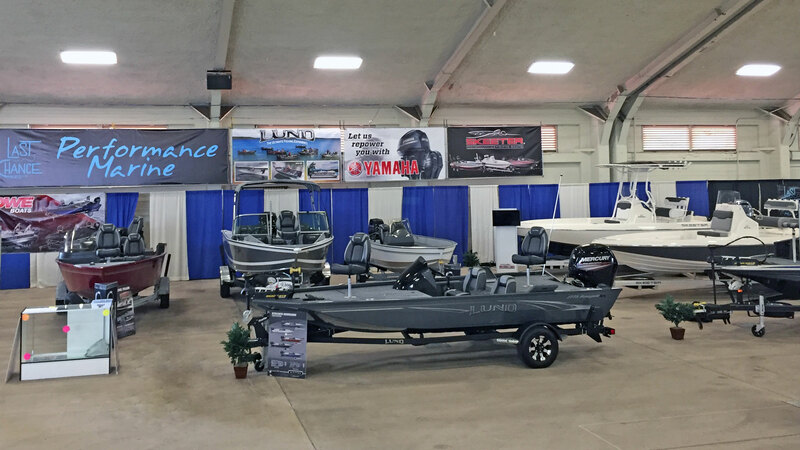 They have several seminar stages and presentation areas setup, including but not limited to a saltwater tank, freshwater tank, additional saltwater stage, and a kayak presentation area. 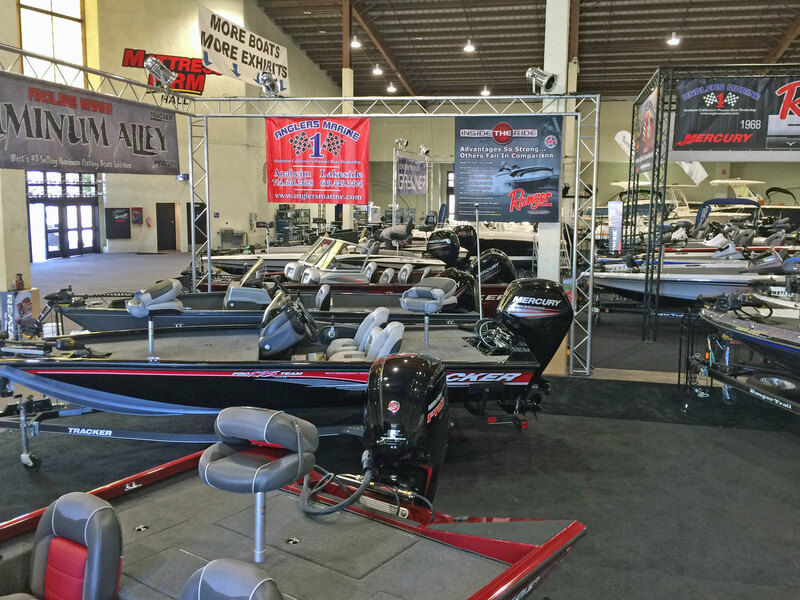 A couple scheduled seminars standout in particular, notably a rare chance to hear Butch Brown, the big bass swimbait guru will be talking swimbait fishing Saturday and Sunday at 1 PM at the freshwater tank. Bobby Barack will be returning to the West Coast to offer tips and tricks for crappie fishing. Barrack is a staple at the Fred Hall Shows, and is always one of my favorite speakers. 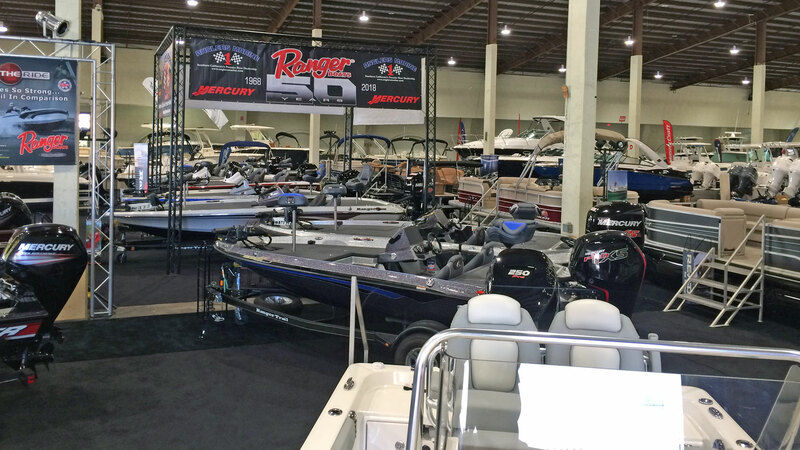 Photos of Anglers Marine’s booth featuring 28 boats from Ranger, Triton, Tracker, Nitro, Sun Tracker, Bayliner and more. MC Swimbait’s Cory Sanden will be speaking on both saltwater and freshwater stages, covering a variety of topics related to fishing his soft plastics. Sanden is one of the true good guys of the local sportfishing industry, and has a wealth of knowledge to share. Trout anglers will be pleased to find a dedicated area for presentations and seminars on the Eastern Sierras, an immensely popular out-of-town destination for Southern California anglers. The Eastern Sierras general trout season opener is April 28th. 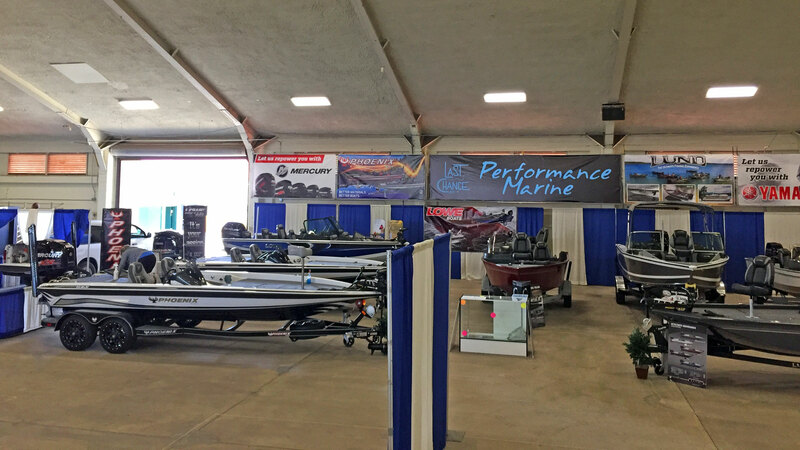 Last Chance Performance Marine’s space has a nice display of boats from Phoenix, Skeeter, Lowe and Lund. There are also some fun events that have nothing to do with fishing, like the show-favorite dock dogs competition, duck races, and cooking demonstrations. Check out Fred Hall’s seminar schedule page for a full rundown of when and where to catch the seminars. Tickets for the show are available online or at the fairgrounds box office. Adult admission is $15 while children 15 and younger are free with a paid adult. Those 62 or older get in for $13, while it is only $10 for military members with valid I.D. For more information on the show, a full list of exhibitors and additional attractions visit their website at fredhall.com. Established in 1996, sdfish.com is San Diego's original and #1 source for updated fishing information, reports, and much more!